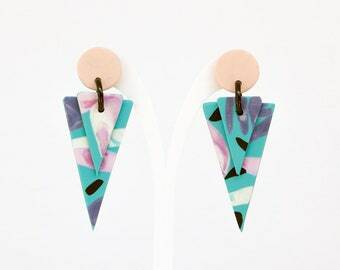 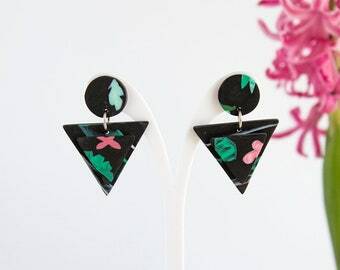 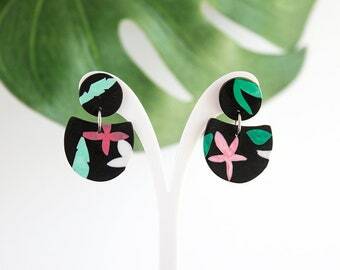 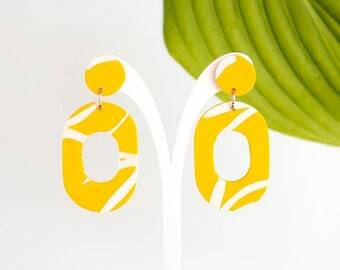 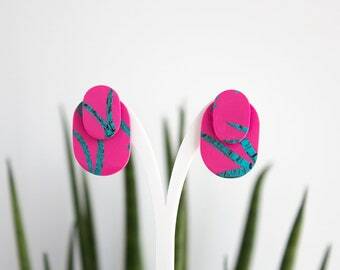 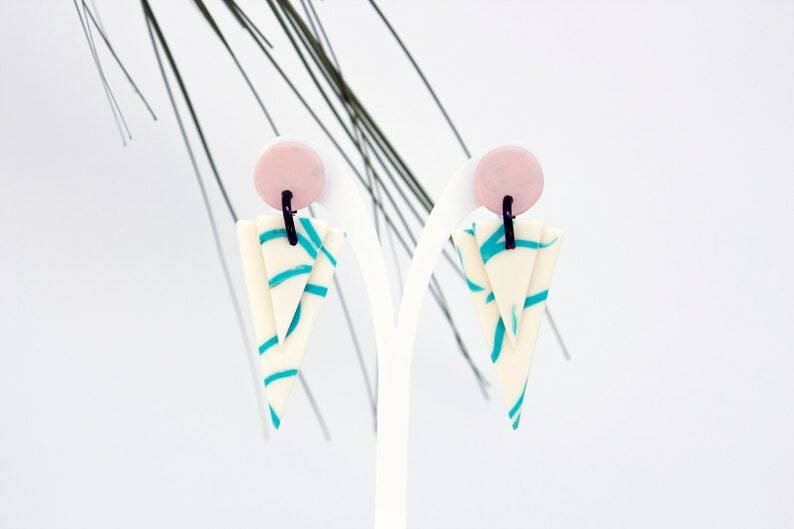 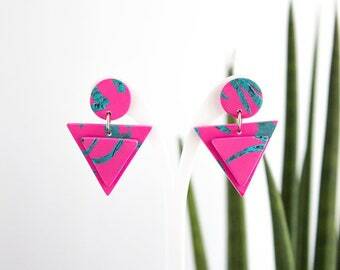 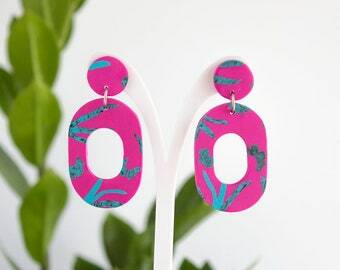 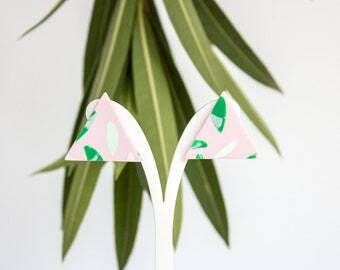 Beautiful Black Tropicana summer statement cute pastel white pink plant botanical drop earrings! 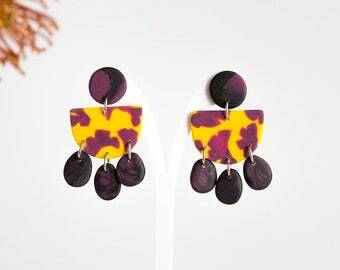 • Made from polymer clay. 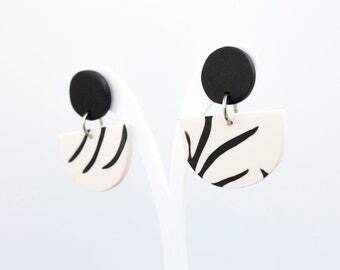 • Posts are hypoallergenic surgical stainless steel. 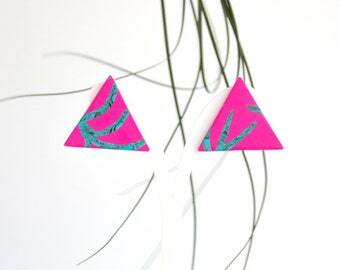 • Measures 4.5 cm in height the triangle drop part and 1.5 cm in diameter the round part. 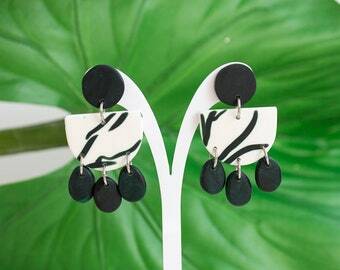 All our jewelry is made to order, created exclusively by hand. 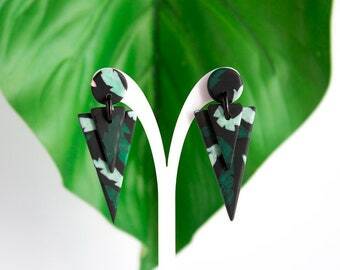 Each item is unique and therefore might slightly vary from the displayed pictures.